A great event for all the family (school children upwards). ​Beetle is played by taking it in turns to roll dice. Each number on the dice enables you to start drawing a beetle. The first one to a complete beetle wins. But you are not just competing with people on your table, but also with all the other tables in the drive. 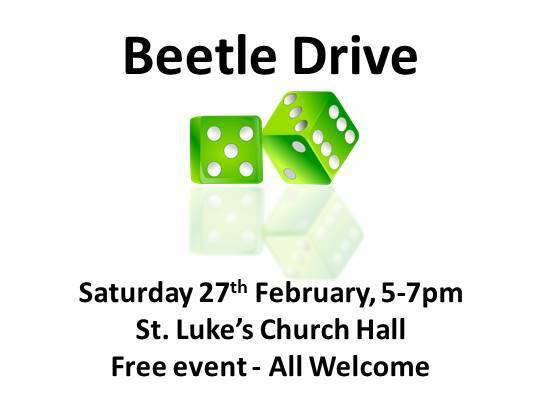 ​All are welcome to join us at St. Luke's for this next Beetle Drive event on Saturday 27th February.